Trust is essential in the painting service industry. Whether it's a residential or commercial client, your painting business needs to earn trust and credibility with the very first impression Here are five essential tips for building credibility and a great reputation with clients right off the bat. Imagine you've hired a painting company to paint the interior of your home, and an un-uniformed painter in street clothes comes knocking at the door. This can put a lot of clients immediately on edge. Consider this: over 60 percent of customers believe that a uniformed worker will do a better job. Aside from uniformed employees, you should also consider the impression of your company vehicle. Similar to arriving in uniform, painters should appear onsite in a professionally-branded company vehicle. This will alert the customer to your arrival, improve credibility, and even serve as another marketing strategy through a "business card on wheels." When painters show clients they care not only about the final product, but also the client's home and property, this reflects well on the entire business. Leftover paint on outlet faceplates and light switches, scraps of painter's tape on the walls, or even worse: splatters of paint on flooring, doors, or anywhere else paint shouldn't land; these are all examples of ways to destroy your credibility as a painting company. Make it a policy to clean and double (or triple) check. While leaving a mess is obviously bad news for a painting company, let's talk about the flip-side: leaving a pristine work site will create a lasting impression on your clients, which in turn creates more potential for word of mouth business and more clients. First impressions matter. When a client calls, making an effort to answer that call as opposed to letting it go to voicemail shows them you value their time and are committed to great customer service. On a very practical level, any downtime after they've left that message (if they even left one at all) might be spent calling your competitors! A painting business that succeeds in all five of these strategies is night and day compared to one that doesn't. 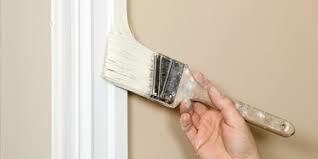 Even if you have the best painters in the world, none of that will matter if clients don't trust your business. That's why so many businesses have turned to franchises like Five Star Painting, to take advantage of not only franchisors' established loyal customers, but for branding resources like uniforms, vehicle labeling tools, logos, and more. To learn more, contact a franchise developer today.